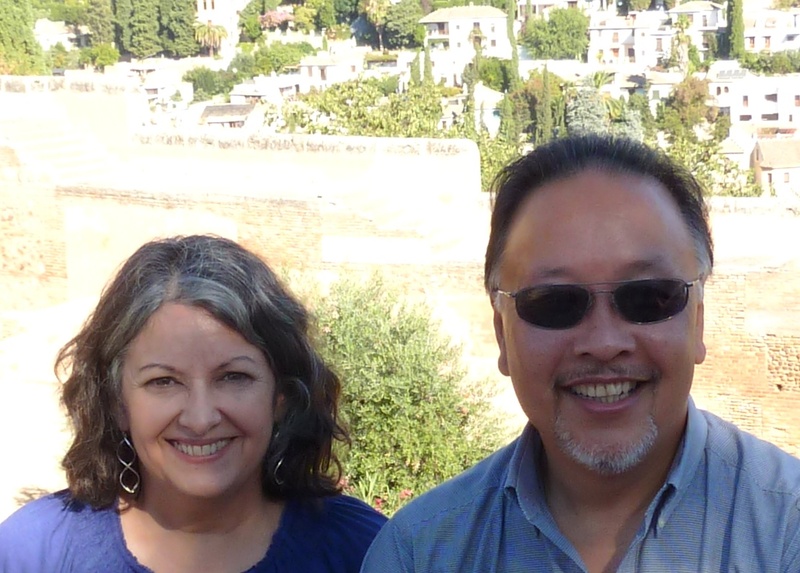 Betty and Curtis in Granada, Spain. I love my work. What's not to like? I have a great boss (that would be me), I get to use my talents, and I help people and companies get better at what they do. Tomorrow is Thanksgiving and in honor of our national tradition, we use this day to give thanks. Despite the fact that I love my work, I am most thankful for those "other things". I guess rather than be a person who lives to work, I work to live. I am most thankful for my family--my husband, kids, parents, siblings, in-laws, uncles and aunts who are still around, cousins, nephews and nieces. I am not yet a grandparent, but I am already thankful for the grandchildren I hope to have someday (I am an optimist). I am also thankful for friends--both old and new. Like many baby boomers, I have recently reconnected with friends who I had lost touch with--I am enjoying these re-connections quite a bit. I am particularly thankful for my health and the health of my family and friends. I know that illness and death are a part of life; and like most people, I do not enjoy this aspect of life. But I also know there are people around me to help with these more difficult times, and for that I am thankful. I recently visited Spain with my husband. I am thankful I have the opportunity to travel and also a spouse who enjoys traveling with me. As corny as it sounds, it can be quite a useful exercise to sit and count your blessings. It is easy to get caught up in the stresses of our busy lives, making it that more important to pause, reflect, and remember those things most important to us. i like you said that you love your work. well i think everyone should be passionate about the work. everyone must have interest towed the work because without the core interest and passion you cant do anything. "Executive Coaching"---I agree. Too many people struggle along, being bored, uninspired or unenthusiastic about their work, especially today with the economy being what it is. I also think there are times when people may choose to be in a job they are not passionate about, and that can be OK too. I read an article a while back, I believe it was by Amy Wrzesniewski, which described work as being either a "job", a "career" or a "calling". It may be, for example, that your work is just "a job", but you find incredible passion and interest in non-work activities (like hobbies, volunteer work, etc). I think that can be a viable choice, assuming it is intentional. Nonetheless, I think it is important that people find meaning in their lives and sadly, too many people are miserable on the job which is unfortunate, especially as there are often easy solutions to the problem.